Your business, products, and services are not receiving the visibility they deserve? The most important reason is that your website is languishing in the search engines, and this reflects a lower than expected revenue through your website, as a result of low traffic and conversions. SEO is a grey service area, often undervalued, but what you need is a transparent service, delivering what promises, meaning crystal clear, flourishing results. Organic search plays the most important role in internet traffic, promoting your website in search engines, and this is more imperative than ever. With SEO, you have the opportunity to be visible, share your products and services, and send your selling message, to a huge spread of potential customers, boosting your business over the internet. 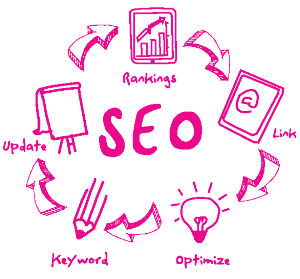 The SEO process is not something that delivers easy and immediate results, in order to develop an efficient strategy following rules and policies. Consistent results is the desirable outcome, in order to build long term viability for your business. We deeply believe in the notion that the work we produce is thanks to the commitment and effort put in by each member of our team. Working across a range of departments, but as one unit the same time, we all are passionate about creating your competitive advantage for our clients’ business. Our team has cutting-edge technology experience and capabilities, and in-depth knowledge of the new technologies era; we do not say so, BUT our clients do.